GoXtra News: Music Video of the Week: K.O (Feat. Kid X) - Caracara (Official Music Video)! Music Video of the Week: K.O (Feat. Kid X) - Caracara (Official Music Video)! The last 3 weeks has been amazing for K.O and the whole Cashtime Life family; the music video for Caracara clocked 192,511 views. 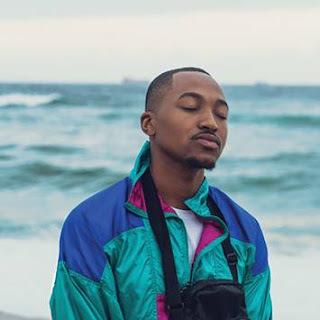 This is less than four weeks of its release and now it is featured on YouTube’s homepage and chart as the most popular video on YouTube in South Africa. Over and above that the single holds the pole position on iTunes Hip Hop/Rap chart, it is in the Top 30 on the All Genre chart and it is the only song that occupies two chart positions on both charts (Hip Hop/Rap and All Genre) with both the explicit and clean versions of the song charting individually. Radio and television are also showing the song a lot of support with heavy rotation airplay across both mediums, Caracara is currently #1 on YFM’S ‘Y Urban Top 40’, #9 on Ukhozi FM’s local Top 20 and charted across many other stations. Cashtime Life is a micro business with limited resources except for endless love and passion for what we do. At the heart of it a business driven by a common vision between three young men from Chiawelo (SOWETO), Meadowlands (SOWETO) and Piet Retief (Mpumalanga), namely; Ma-E, Thabiso Khati and K.O. "We got together because we believed we could to push the culture and boundaries of South African music, entertainment and lifestyle forward so to see South Africa respond to our work in this manner is humbling, exciting, and nerve wrecking at the same damn time; it tells us we are doing something right and yet it puts more pressure on us to work and push ourselves harder," says Thabiso Khati.